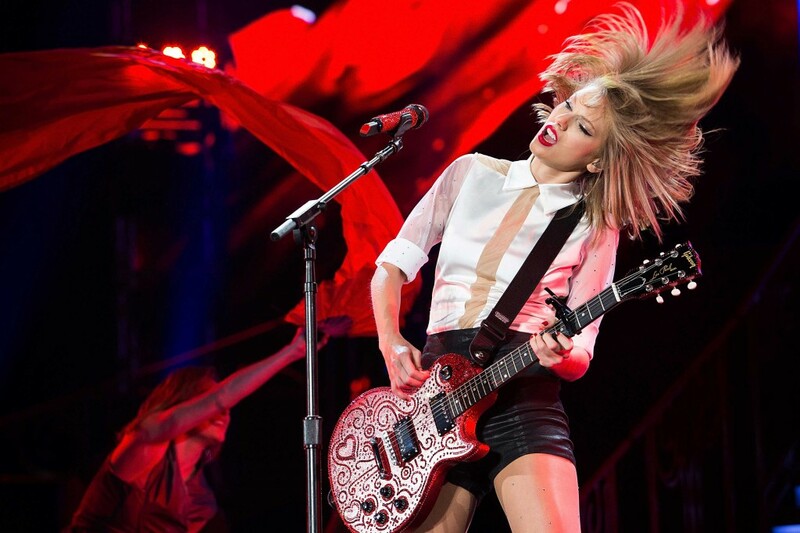 Taylor Swift performed at the Singapore Indoor Stadium for her RED Tour and it was…amazing. The moment she came on stage, we forgot about the crazy queues and long wait we had to endure (although opening act Imprompt-3 was not too shabby) because TAYLOR SWIFT IS MAGIC <3 Here are five facts we learnt from her concert. 1. Her mother Andrea grew up in Singapore. And told her about how amazing Singaporeans are, it seems. Yes, us! Little ol’ us! Taylor’s mother spent the first 10 years of her life in Singapore, because her father was an oil rig engineer who worked in Southeast Asia then. 2. She changes outfits really fast. One minute she’s wearing a shorts and top combo, and the next, she’s in a red evening gown. I always knew she had magical powers. 3. The girls in her 22 music video are her actual BFFs. Including Jessica Szohr from Gossip Girl! 4. She can jump around, head bang and do chest bumps without ruining her hair and makeup. Seriously, what products does she use? She had nary a hair out of place, even after head banging and jumping around with her guitar. And how does she sweat so gracefully? 5. She remembers her fans. “Some of you here look familiar, have you been to one of my concerts before? !” she asked the crowd, which exploded with cheers. OK, so maybe it was just a PR stunt, but it felt magical and amazing in that very moment k. Also, she gave her top hat to some lucky girl in the crowd, so if you’ve got front row seats for her second concert this Thursday…don’t be afraid to be buay paiseh and jostle your way to the front. For more photos from the Taylor Swift RED Tour 2014 in Singapore, check out the scene.sg Facebook Page.